Winter makes it hard to stay health. Along with the holidays comes cookies, sugary lattes, stress, cookies, and perhaps a wee bit too much alcohol. Did we mention the cookies? As the holidays come to a close, your new year resolutions will be firming up, and many of you will be looking to focus on your health and wellness. This doesn’t necessarily mean losing weight or getting six pack abs. It can be anything from standing up more often at work, cutting certain things out of your diet, or even taking more of those vacation days you have stowed away. 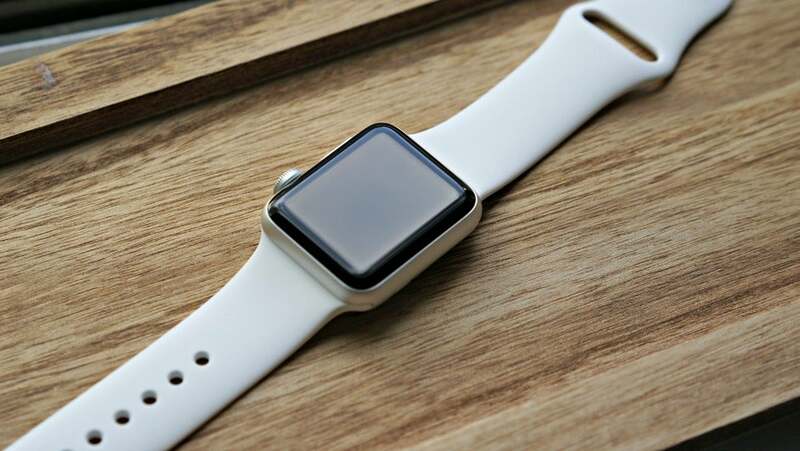 In 2016, we’ve seen more and more wearables hitting the market, which is what our holiday guide primarily focuses on this year. From the new Apple Watch 2 to the rise of smart fabric with integrated sensors, there are a lot of ways to track your health. 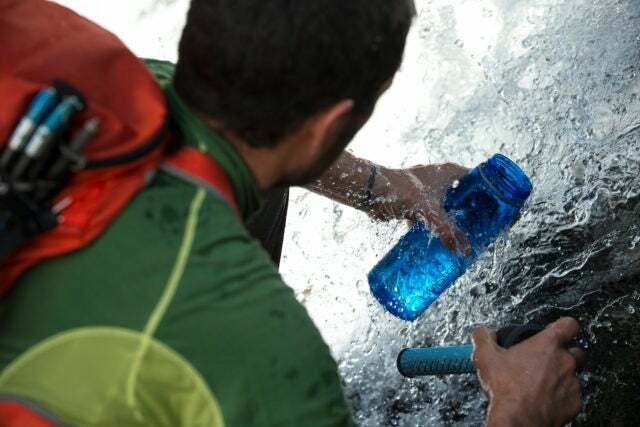 LifeStraw Go 2-stage filtration bottle incorporates a carbon capsule in addition to the existing award-winning technology into a refillable water bottle so you can access safe drinking water with you on the go. Under Armor Sport Wireless Heart Rate Earbuds provide an instant heart rate reading measured directly from the ear at the touch of a button, letting athletes fully embrace their workout while listening to JBL’s signature sound. The headphones are built for durability and to withstand sweat and water while featuring JBL’s Twistlock and Flexsoft technology to ensure a comfortable fit that won’t fall out. The headphones have a built-in connection to UA record, Under Armour’s definitive health and fitness platform. Lumo Run is a brand-new wearable device that clips onto the back of your running shorts or capris and tracks various metrics key for maintaining good running form, including pelvic drop and rotation, braking, cadence and bounce. The device syncs to your smartphone and can even give real-time feedback and tips on your form as you run. After trying this on a half-marathon, we found there were a lot of problem areas worth correcting. As a result we’ve found better pace times and strides, but found it to not be a fan of people wearing camel backs that bump into it. Tespo Vitamin Dispenser is like a Keurig for vitamins. The smart system dispenses high quality vitamins free of gluten, sugar, fillers, binders, and any artificial ingredients. Though high-tech, it’s also easy to use requiring just the push of a button. Meanwhile, the sleek kitchen countertop companion is also a visual reminder for the family to stick to their daily vitamin routine. Updesk Ultra is a standing desk with a focus on aesthetics. The luxury line of design-driven desks is crafted with new premium desktop materials – solid maple in a variety of stains (oak, natural maple, mahogany and cherry), solid surface (brisk white, starry night black, monsoon gray, eclipse and rock salt), BevelUp (white, gray and black) and whiteboard and blackboard surfaces on a choice of black, white or titanium legs. HYPERICE Venom is a digitally-connected wearable back device, VENOM combines the power of heat and vibration to aid the lower back. Designed for anyone from elite athletes to those with back pain, the device can be used to optimize recovery by warming up, loosening, and relaxing sore or stiff muscles. Perfect Blend Smart Scale allows anyone to make perfectly delicious blended recipes using their home blender, from soups and dips to marinades and salad dressing (and yes, smoothies!). Connect the scale with the Perfect Blend recipe app (iOS/Android) on your smart device via Bluetooth. Each ingredient is measured by weight as it is added, while the virtual blender jar fills up in real time. The app tells you when you’ve added enough of the ingredient and moves on to the next step. Motorola Talkabout T600 H20 are the latest two-way radios ideal for keeping in touch and for safety when out of cell phone range. Two-way radios are important for communication and for emergency preparedness, which is especially important during family ski trips, camping, hiking, hunting and on board the cruise deck. These feature NOAA weather updates and alerts and the T600 H20 is completely waterproof and float, so no need to worry if it accidentally falls off the boat or in the snow drift. xiaomi mi band 2 one part affordable, two parts feature-rich activity tracker. If you’re looking for a cheap alternative to the Fitbit, this is it. QCY Wireless Sport Earbuds: Don’t skip your lunch break, but perhaps split some of it into time for running. These bluetooth earbuds are lightweight, sweat resistant, and generally sound good. Sensoria’s Smart Running System features smart socks and a Bluetooth connected heart rate monitoring (HRM) smart t-shirt or sports bra, which helps people stay on track with their fitness goals while staying safe. The smart socks track things like distance, time and pace as well as foot impact score, average stride length, gait and cadence. The smart HRM t-shirt and sports bra monitors heart rate accurately and comfortably without the need for an HRM chest strap. These garments work in unison to provide real-time coaching through Sensoria’s integrated mobile app. Stay tuned for the rest of our holiday guide throughout November. We’ll be covering: Computers, tablets, smartphones. You can find our first part of the guide on general tech and gaming, 4K TVs, earphones, and entertainment systems, drones and tech toys, techie stocking stuffers, and the best gift box subscriptions.